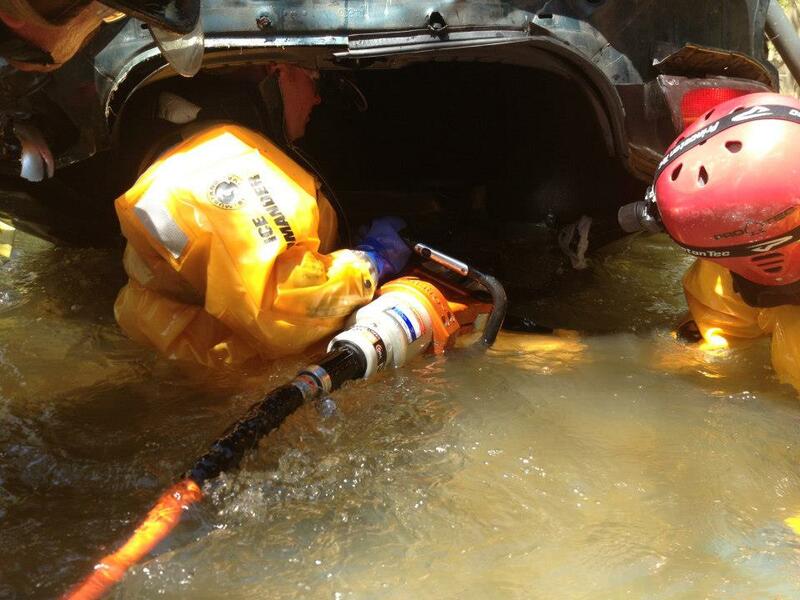 In all work that we do as firefighters preparation is one of our biggest keys to success. Training must be extremely realistic and must constantly be pushing us forward in our capabilities and our competence level. Aggressive and realistic training is the answer. 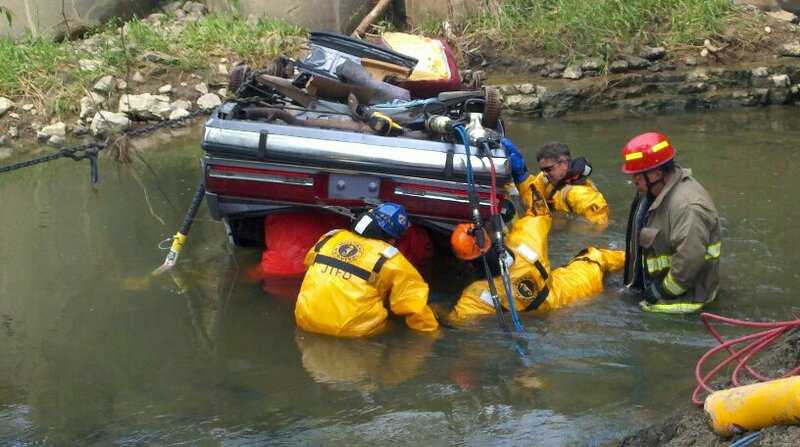 Below are a couple pictures of some auto extrication training that was put on at Bowling Green, Ohio Fire School, these are great photos of pushing your training to the next level. 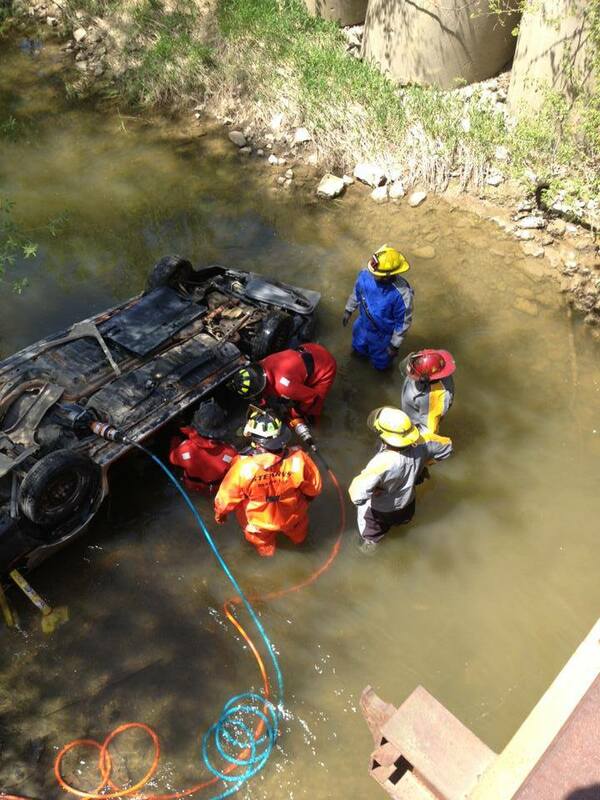 The fist time you cut a car apart in or under the water should not be at 3 o’clock in the morning at a real call! What types of tools do you have besides the hydraulic cutters and spreaders that you can utilize underwater? 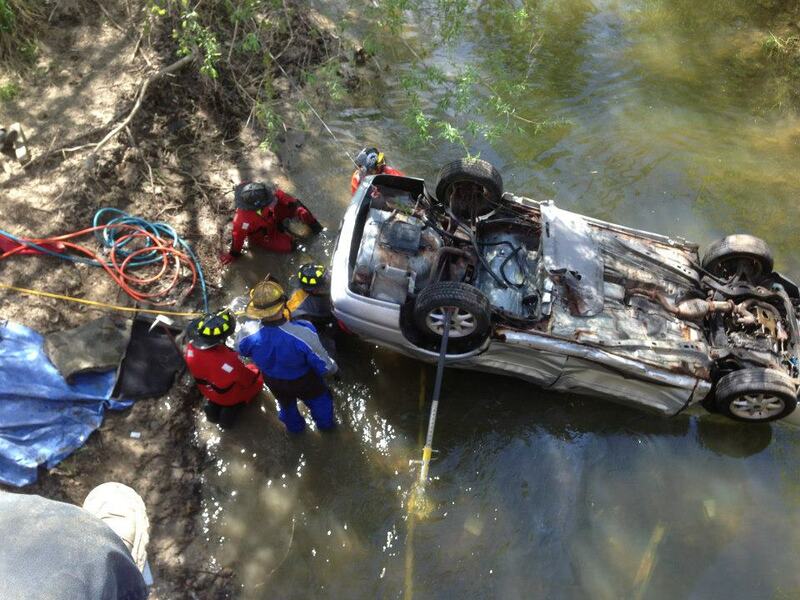 What types of water rescue gear do you have to help facilitate this rescue? Do you have a mask and snorkel? What else could you use if you don’t have a mask and snorkel? How would you stabilize this vehicle? There is a huge difference between what you think will happen in these situations and what you know will happen….. Aggressive training is the key to success. So when is it a good idea to use a Fog Attack or a Combination Attack? When should we set our Fog Nozzle on a fog pattern? When Should we set our Fog/combination nozzle on straight stream? Do we push fire and if so; when? Does the setting of the nozzle effect te ability to push fire? Is there ever a time we would want to push fire? When is it ok to apply water from the outside? BE BRAVE and post your thoughts. Share your opinion for all to see. 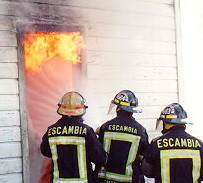 Check Out www.firefighterrescues.com sign up for email notification of New Post at bottom of Home Page.